Gold prices started to slide on Tuesday, coming off their nearly-one-week high as traders wait anxiously for the next U.S. monetary policy meeting, which is set for Wednesday. Meanwhile the U.S. dollar dipped to a one-week low on Tuesday, marking the second session of declines in a row. The Federal Reserve is expected to hike interest rates again on Wednesday, but the ongoing volatility across the market has led some to believe this could be the last rate hike for a while. 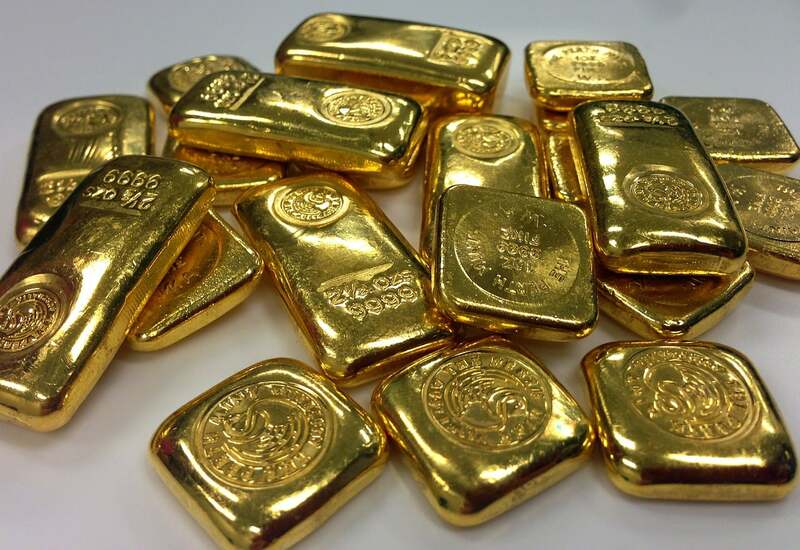 Analysts say gold should benefit from the widespread volatility in the near term — especially in equities. In his "Precious Metals Daily" report on Monday, HSBC analyst James Steel the uncertainty in the financial markets should keep a floor on gold prices. He noted that as the U.S. dollar weakened, gold prices rallied and shifted higher. Declining equity prices also helped support bullion, he added, although today has brought about an early rally in stocks as major U.S. indices began to climb out of the gate this morning. According to Steel, as the declines in the equity market become more pronounced, gold prices should gain better traction and shift even higher. However, today has brought a rebound in equity prices as the S&P 500, Dow Jones Industrial Average and Nasdaq 100 are all rallying early. This threatens to undo his thesis, at least for the near term. Nonetheless, stock prices have been reversing course so much these last weeks that it's anyone's guess what they will look like tomorrow. Despite other factors like monetary policy changes and currency movements, Steel believes "renewed equity market wobbles" could be the single biggest bullish factor" for the yellow metal. "If equity markets continue to weaken and financial market volatility rises, gold is likely to be supported," he wrote.